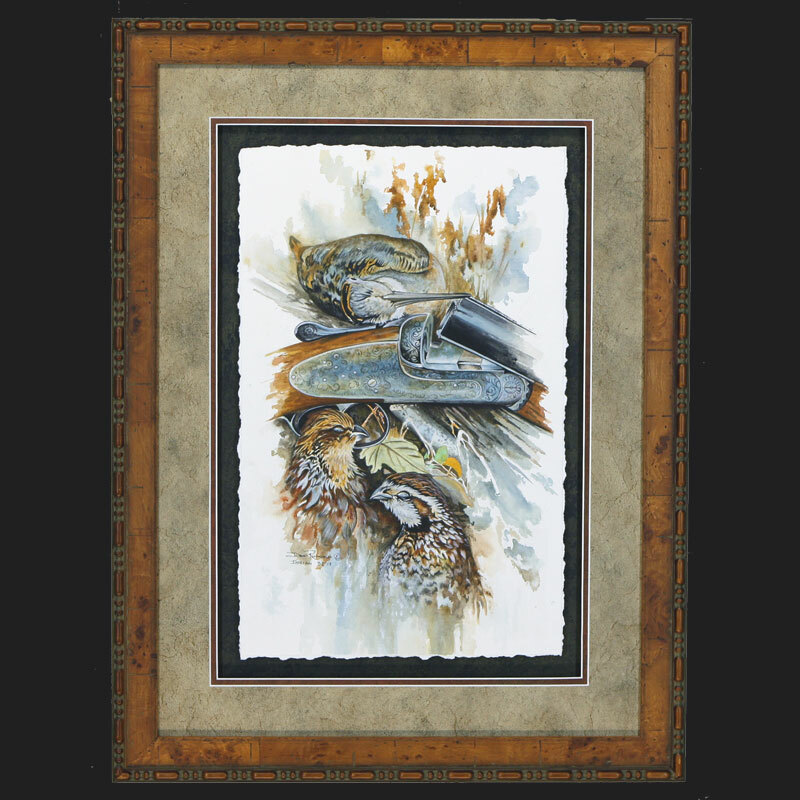 An original acrylic painting on 300 lb watercolor paper featuring woodcock, a brace of quail, and a fine side by side shotgun. 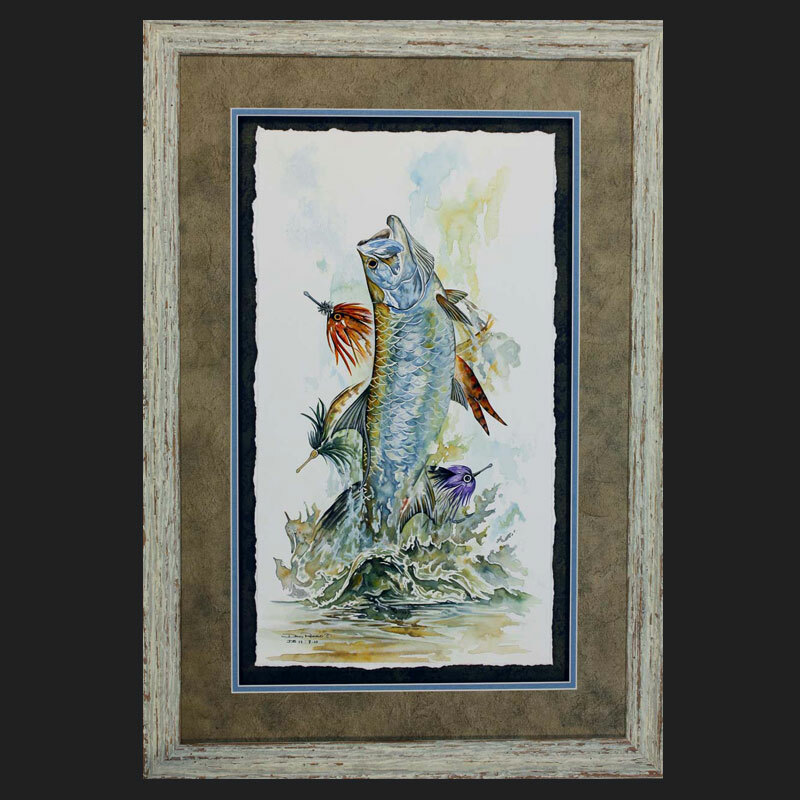 This original painting was framed with the torn edge of the paper showing in a shadow box style. The original was coated with a conservation clear varnish and framed under conservation clear glass. 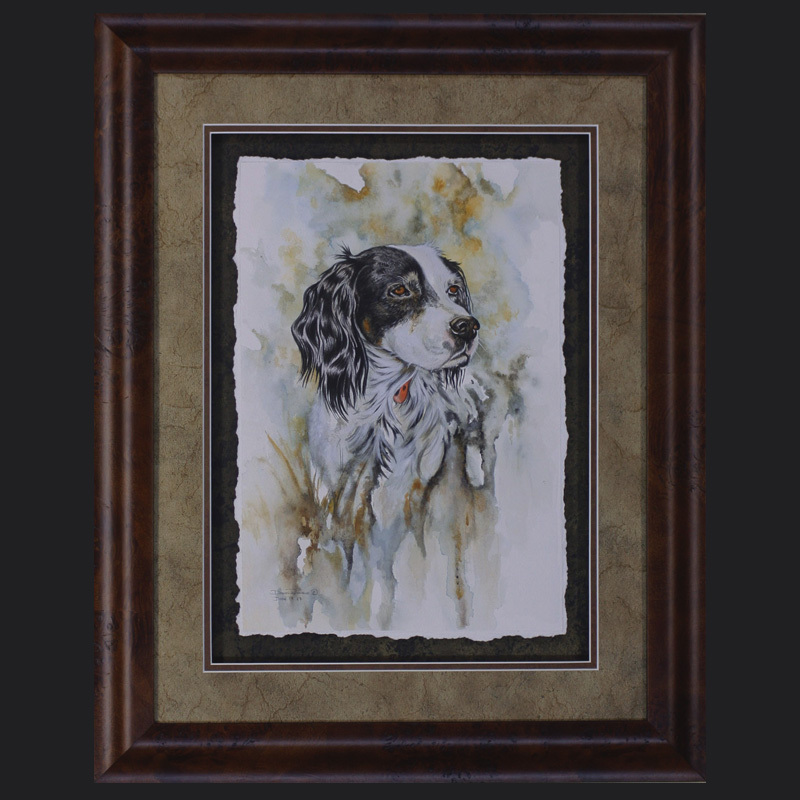 When creating this painting I wanted to portray the subjects in fine detail while having them fade out to a loose watercolor style. 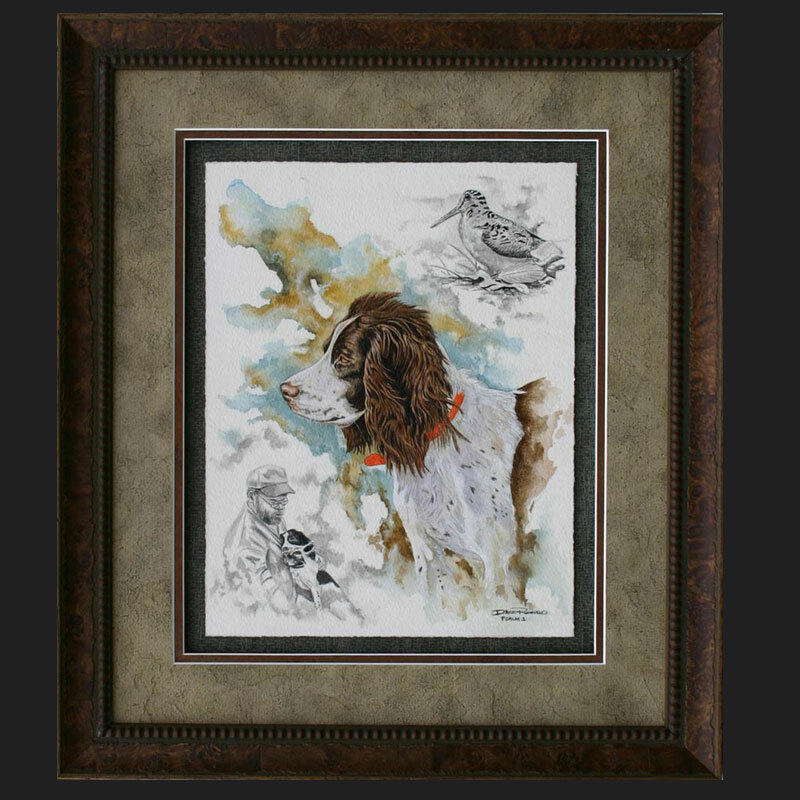 My next painting in this series, ” Finer Things II “, will be of woodcock,grouse, and shotgun. 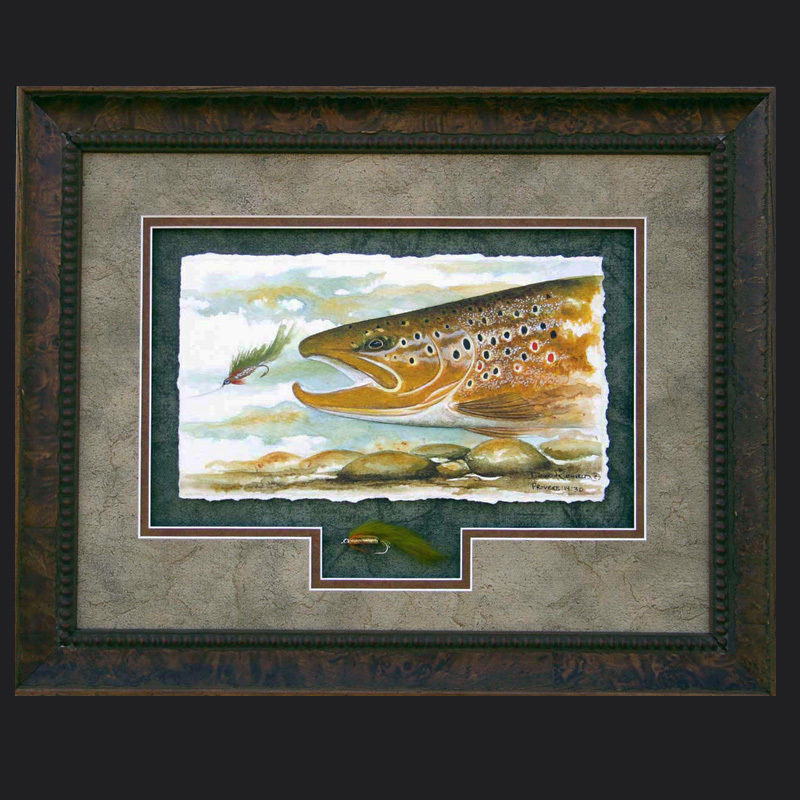 It will be similar in style and size and will make a nice set of paintings for your home or lodge. The person purchasing this painting will have the first opportunity to purchase ” Finer Things II ” !